An authentic Mexican restaurant here in Jacksonville, Los Rancheros is managed by Roberto Rivera, and owned and operated by Hector Lopez. 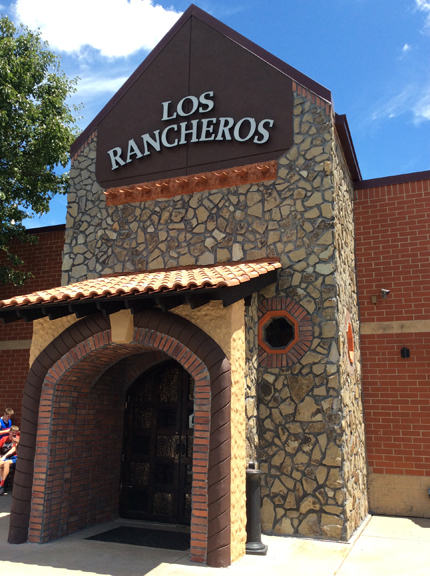 Lopez has worked with the Los Rancheros franchise since 2005, and shares that he truly loves his job. Traveling between six different locations to manage his restaurants, he shares that his favorite aspect of his work is “getting to meet people from different places. Every time I walk into another place, like the Los Rancheros in Petersburg, I find a familiar face, maybe someone that I met in Jacksonville.” Apparently, Los Rancheros has built a good enough name for themselves that their clients are willing to travel. Lopez seems to think so, saying, “We really focus on day-to-day freshness. Make our guacamole and margaritas daily. And we really keep a close eye on quality.” In addition to providing good quality food, he feels that they are able to do so at a very reasonable price. With the recent changes to the interior and exterior of the building, Lopez hopes to serve even a larger range of clients in the community. With the addition of the outdoor patio, he hopes to coordinate live music events, offer new menu specials, and host a customer appreciation day, among other things.